or phone 021-531-7453, or fill in the form below. 18 April 2020 to 13 May 2020 from Durban to Venice on the MSC Orchestra. 18 October 2019 to 16 November 2019, from Genoa to Durban on the MSC Orchestra. 26 April 2019 to 20 May 2019; from Durban to Venice on the MSC Musica. There are a very limited number of cabins left, so enquire now by popping us a mail at cruises@southafrica.to. 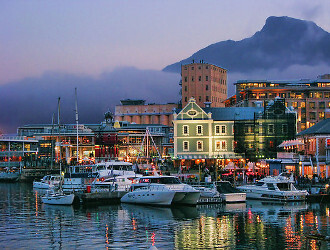 Ah, the beautiful Mother City! 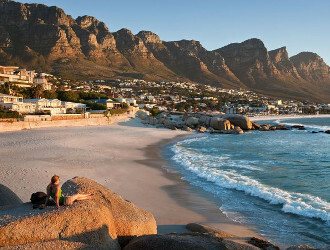 If you're not from Cape Town and not familiar with all that the southern point of SA has to offer, it's high time to take a trip there. TIP: Even of you're a local, there are some great day trips from the city, so head there before your cruise and explore a bit. Your first port of call will be the very charming Walvis Bay, Namibia. Famous now for being the birth place of Brangelina’s first born, it has in fact been part of many travellers’ itineraries years before. Namibia, our next door neighbour with it's rich marine life and endless stretches of desert needs to be visited by any South African who considers themselves travellers and nature lovers. Walvis bay ("Bay of Whales"), the first port of call of the cruise is perfect for some whale watching and a bird watcher's paradise. I have visited my family who live there many times and I absolutely adore the contrast of the red desert with the turquoise ocean. The Namib Desert is the oldest desert on Earth and deserves a special mention. 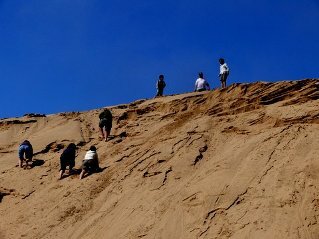 You should have enough time to visit Dune 7, the highest dune in the area. Be sure that your camera is well protected during the tedious climb; the view from above is astounding. 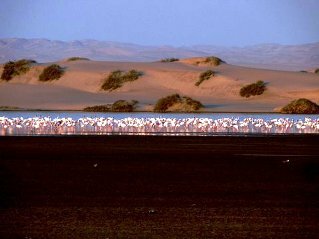 Walvis Bay is also famous for its lagoon with thousands of bright pink flamingos, they just love the mineral rich mud. Read more about Walvis Bay here. 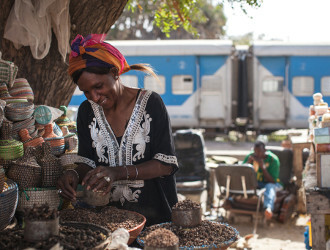 Taste a bit of West-Africa at Dakar, once a small settlement south of the Cape Verde penisula, now drawing a cosmopolitan mix of visitors to a city of contrasts - horse-cart drivers hurrying over swanky highways and shiny SUV's cramming on tiny sand roads, smartly dressed women in high heels and men in business suits walking the dusty roads. The traders, hustlers, bargainers and traders will not always accept "No", but stand your ground with a firm, "Non, merci" - that might be the only French you'll need at this stage! To help fend off beggars, you simply say “sah-RAHK-sah AH-gah-nah". This means that you have already done your charitable act for the day.You don't have much time to explore, so make sure you get off the ship quick enough to catch a glimpse of the Senegalese capital. 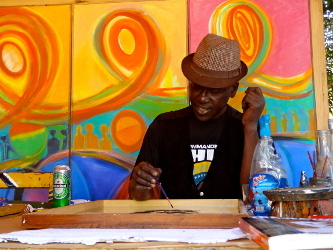 If you have time, make a stop at the Villages des Arts, where some of Senegal's most established and promising painters, photographers and sculptors create authentic West-African art and display their works space that looks like a large garden. 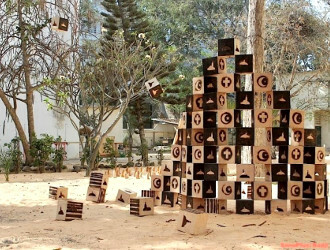 If you're an art lover or like to collect memorabelia, be sure to stop at one of the many markets - that is if they don't stop you! 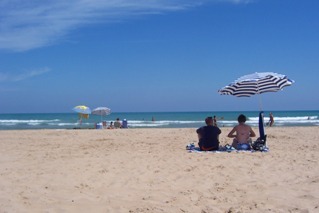 If you have limited time, stroll around the shore and watch the locals cool down at the beach. 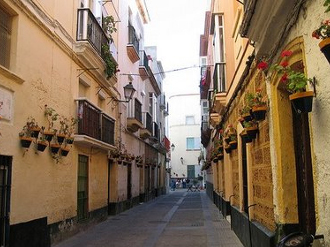 Cádiz is considered to be one of the oldest continuous inhabited settlements in Europe. 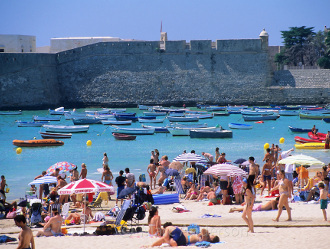 The Spanish colonial fortresses and ancient, eroded walls are almost completely surrounded by the waves of the Atlantic crashing against it, with the sound of crowing seagulls, frying fish and some odd flamenco songs (alegrías) echoeing in the background. This sea side town is strongly reminiscent of Havana, Cuba or San Juan (Puerto Rico). 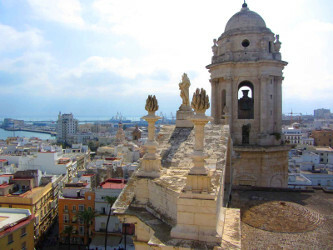 What to love about Cádiz? The seafood is something not to be missed, there's some great surf spots and plenty of intriguing churches and museums that won't blow the budget. 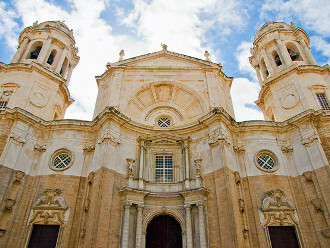 Cádiz' yellow-domed cathedral is a simple but impressive structure that started out in baroque style 1716, but wasn't finished until 1838, by which time some neo-classical elements have been implemented as well, making the two styles merge into one. Be sure to take a stroll along the traffic-free Plaza and if you feel up to it, cliimb to the top of the Torre de Poniente for some marvelous views. 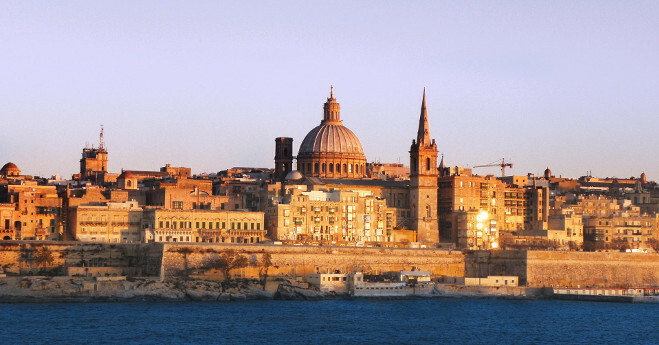 It's no surprise that Valetta was granted one of UNESCO's World Heritage sites, the capital of Malta being one of the most concentrated historic areas in the world. It's known for it's architectural grandeur, but take a walk down the narrow, quiet back streets to see how everyday life is for the locals. 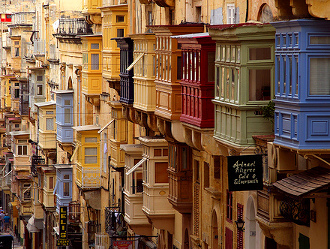 This Lilliputian city is a mere 600m by 1000 and was built in the 16th and 17th centuries by die Knights of St John. It is said by it's founder that it is a city 'built by gentlemen for gentlemen'. Despite being such a small city, there is plenty to do and see. Every little European town and every big city has it's churches and cathedrals and it's worth stopping at at least the most famous one at each of your stops. 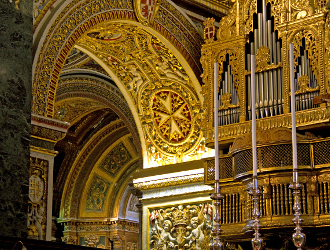 Malta's most impressive church is the St John's Co-Cathedral, a 16th century offical seat of the Archbishop of Malta and a communal place of worship for the knights. The exterior is quite plain, but step inside to see a treasure of Maltese baroque, every wall and pillar decorated n rich ornamentation. Marble tomb slabs, paintings and sculptures of religious figures, drawings, manuscripts, tapestries, separate altarpieces, chapels, monuments, fortresses and more are to be found inside. 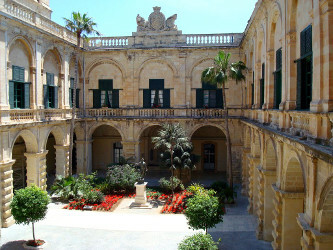 The Grand Master's palace, constructed in the 16th century and now the seat of Parliament and the official residence of the Maltese president, is also worth a visit, with a simple exterior but a great display of the country's history inside. There is little to say about this dreamy little island off the coast of Greece, when you look at the views below. Aptly named Homer's "beautiful rich island". 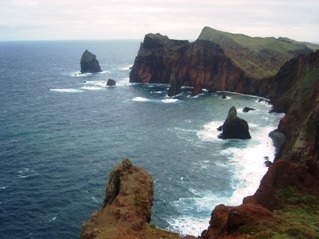 Coastlines can be steep and dramatic in the mountainous northern parts, while the inner part of the island is peaceful countryside. 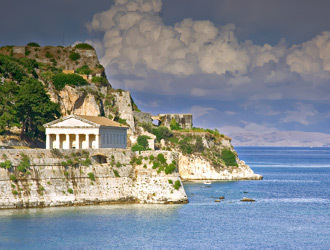 What to do in Corfu? 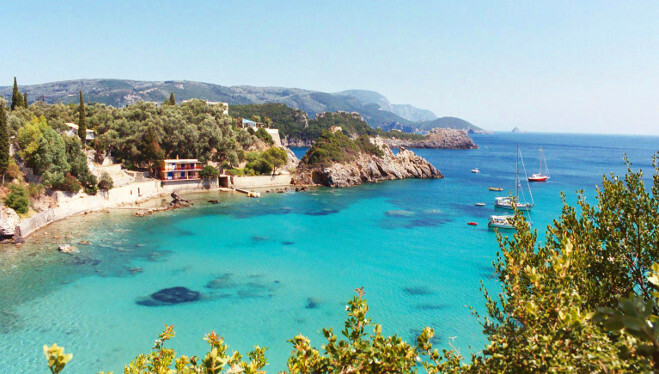 Even if you're not a beach person, this would be the place to go dip your toes in the water or lie under a cypress drinking in the fresh Mediterranean air. 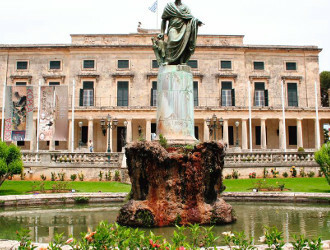 If you're still keen on visiting museums, you can drop by at the Antivouniotissa Museum or The Palace of St Michael & St George houses a world-class collection of, interestingly enough, Asian art. It includes priceless prehistoric ceramics, bronzes, coins, jade figurines and works of art in ivory, onyx and enamel. You can walk up to the Palaio Frourio for some superb views of the area, grab some Italian-influenced cuisine at Klimataria (reservations needed in summer). There is another, more extensive article about this pretty little town with the red roofs, read about it here. 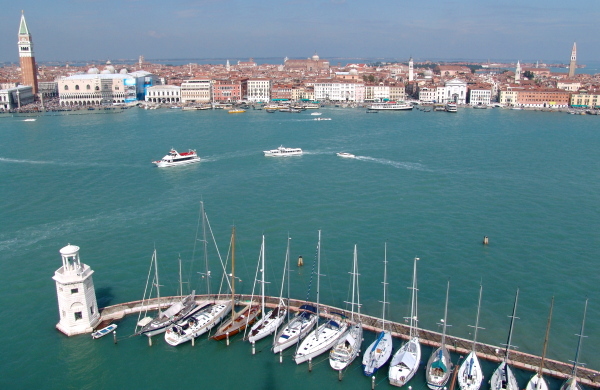 Another 3 hours drive and you will reach Venice! 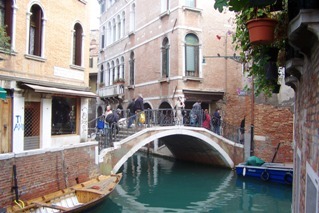 It’s a good idea to have Venice as the drop off point for your rental car, since you can’t really drive around in a car. Venice is stunning, decaying, with pastel colours dripping off the walls, into the thousands of canals. It looked to me as if Venice was crying, mourning in a way. There is a beautiful sadness to the sinking city and every single corner you turn, will surprise you with a brand new, breathtaking view. I have run out of superlatives for this beautiful city. 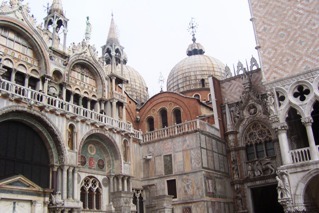 St. Mark’s Square and the Doge’s Palace is a sight you will never forget. 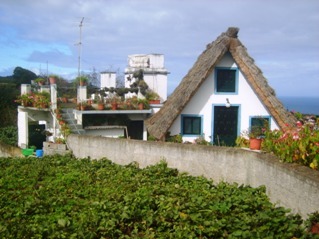 I also had a very odd experience on one of the other islands, Burano. We were waiting for the ferry to come back our way, when we kind of fell into a tiny little Italian bar, the size of a large dining room table. We ordered some beer and the old guys glared at us. To break the ice, I bought some of my favourite cherry chocolates and much to my surprise the barman started opening them in front of me! I was quite shocked, but didn’t want to offend him, so I waited to see what was going on. Turns out, each choccie had a prize inside, so I ended up with a whole handful of my favourite chocolates! The best part was when I apparently got a “special prize” and was awarded a massive box of chocolates! We waved goodbye to everyone and it was smiles all around, no more glaring! Be sure to visit Murano, home of the famous glass blowers. 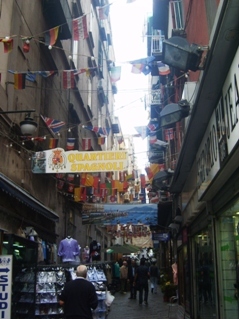 It is easy to spend a small fortune here, so be careful (walk around the corner from the main street to get the best prices). You would do well to avoid the overpriced gondolas, the public transport (vaporetto) is excellent, cheap and you still get to see all the sights from a different angle. Once you have been exhausted by the beauty of Venice, you can either take on the 6 hours drive to Rome, or hop on a plane. The drive is sure to be amazing and you will pass through some fascinating places, but if time is not on your side, air travel will be! 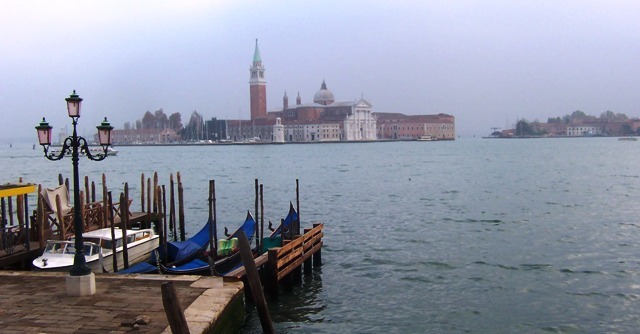 Just be sure that you get the airport closest to Venice and be very aware of the fact that the buses to the airport only leave a few times a day, not hourly, as you would expect. The fact that we overlooked this cost us dearly since we then had to find a taxi to take us all the way to the airport in Treviso, ouch. 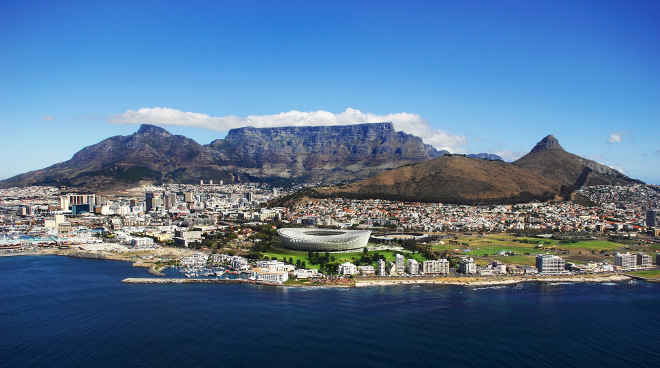 This cruise involves leaving South African sovereign territory and, as such requires a valid passport. You can NOT travel by presenting your identity document, driver's licence or any other form of ID besides a valid passport, should this occur you WILL be denied boarding! South African Citizens with dual nationality - MUST USE THEIR SOUTH AFRICAN PASSPORT TO EXIT AND ENTER SOUTH AFRICA. Non-South African Citizens/Permanent Residents must have their permanent residence endorsed in their foreign passport. The information contained here is to be used as a guideline only (refer to the relevant Embassy/Consulate to ensure that you have the most current information in relation to travel documentation required to enter any port at which the cruise ship is scheduled to stop). - South African and British passport holders do not require a visa for Namibia. (also accepted as legal currency in Namibia).Major credit cards are accepted. Travellers Cheques and foreign currency can be exchanged at any bank or bureau de change. ATM's are available in larger towns only. Currency: The official currency is the West African CFA Franc (XOF). The CFA franc is fixed to the Euro at a rate of 1Euro = 655.957 CFA francs. 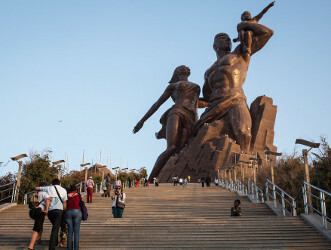 Credit cards are accepted only by major establishments catering to the tourist trade, with American Express being the most widely accepted (commission is charged) There are ATM's in Dakar, and travellers cheques can also be cashed in Dakar. 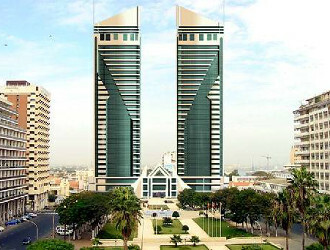 - South African Passport holders do require a visa for Morocco. - A multiple entry, short stay Schengen Visa will be required by South African Passport holders. 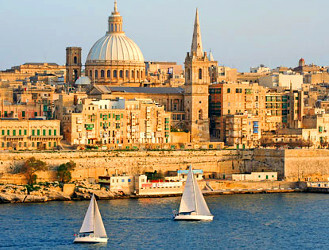 The country of your longest stay will issue your Schengen visa. Only if your stay in the Schengen states is the same number of days in each country would you apply through the country of the first port of entry. Currency: The official currency in Madeira; Spain and Italy is the Euro. Money can be exchanged at bureau de changes as well as major hotels and banks. All major credit cards and travellers cheques are widely accepted at most hotels, restaurants and shops. ATM's are widespread and are generally the cheapest and most convenient method of obtaining cash. The information contained herein is intended as a guide only and confirmed correct at the time of compilation. The final responsibility rests with the passenger to ensure that all Travel and Health Documents are in order and are obtained timeously. Note: Passport and visa requirements are liable to change at short notice. Travelers are advised to check their entry requirements with their embassy or consulate. Below you will see the prices per person, based on 2 adults sharing a cabin. Prices include port and service fees. You will need to obtain your own travel insurance. *Prices are subject to availability of cabin category and change. (E&OE.) Specials can be retracted at any time without prior notice. Cruise prices fluctuate constantly and are only guaranteed once a booking has been made and terms and conditions pertaining to the booking are met. On the way there, you will explore the western coastline of Africa, sail further north to Spanish territories and finally east, towards Italy. Let's hop on the Sinfonia & explore some of the ports. Tropical Santa Cruz de Tenerife (also simply known as Tenerife) is in the midst of the Canary Islands. This is Spanish territory and it will be handy for you to know how to ask for a cold beer in their native language. However, don’t worry if you can’t speak Spanish, this island is a very popular holiday destination with the British, and so you should be fine! Spend some time on the beaches and enjoy the wonderful, fresh seafood. This island (Portuguese territory) is one of my favourite destinations. I visited a good friend a few years ago and I came away with wonderful memories. It is a diverse island, with tropical valleys covered in rain forest and mysterious, misty mountains. 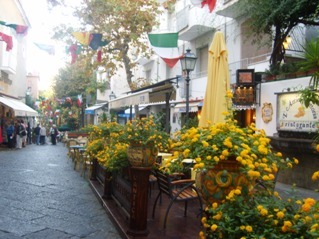 Funchal is a port city with many little cathedrals tucked away amidst the wide, tree lined roads. One of my favourite things about Madeira was their delicious pastries! I can’t for the life of me remember the name of this particular one, but it was almost like a miniature baked cheesecake, a bit savoury, divine! I was lucky enough to do a full day tour of the island and visit all the nooks and crannies. 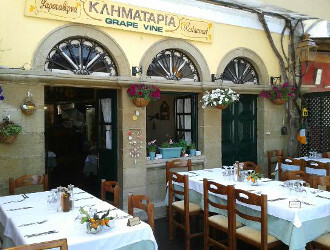 If you don’t have enough time, at least do a half day tour of the island, you will never see a place like this again! I also accompanied my friend to Ponta do Pargo, on the other side of the island, where I enjoyed amazing fruit liquors, handmade by her lovely aunts. They couldn’t speak a word of English and I didn’t know any Portuguese, but language barriers quickly disappeared after lunch and some warming honey liquor! 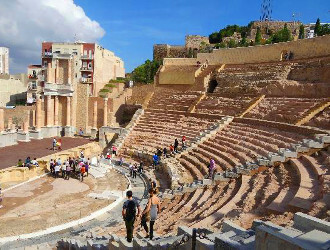 Your next port of call will be mainland Spain, the city of Malaga, on the Costa del Sol. Spain is absolutely wonderful, I was lucky enough to spend two very long holidays on the Costa Blanca, just a bit further north. I was amazed at how much Spain reminded me of South Africa, maybe it was the stunning beaches or the weirdly South African plant life, but I felt very much at home here! Malaga is another one of the hottest (literally!) 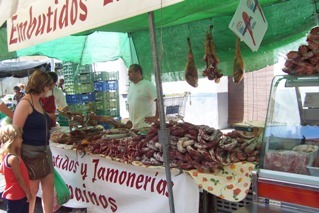 tourist destinations for Europeans, you are sure to enjoy some great shopping, tanning and seafood! By now, you should be used to the European way of life, since all the announcements on the ship are both in English and Italian! Hopefully you’ve picked up some Italian, since the next port of call is Civitavecchia, the port of Rome. You can travel to Rome on a train for the day if you like; this can take up to 90 minutes, so just be sure you aren't late for your train back and miss the boat. If you only have one day, here is a handy little video telling you exactly which sites not to miss. You simply cannot do Rome in a single day and I think it’s worth going back, if you can. I was there for 3 full days and I didn’t even get to see the famous Pantheon! If you do decide to visit Rome for the day, be sure that you have a map handy and know exactly where you want to go. Civitavecchia is a port city with a bustling vibe, you can basically go anywhere in Europe from here! Your cruise will come to an end in the romantically medieval port city of Genoa, the birth place of Christopher Columbus. It’s your typical Italian city, with enticing alleys calling you in, cafe’s bursting at the seams and fascinating museums and galleries around every corner. Typical? Maybe. Wonderfully Italian? Definitely! Now that you have been well rested and well fed thanks to the wonderful crew onboard the cruise ship, we are ready for the next part of our Cape to Capri journey. 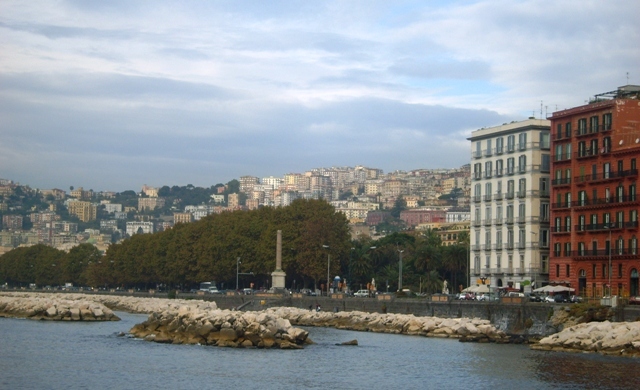 After spending a night or so in the delightful Genoa, hire a car and go for a long drive. Actually, only an hour and a half! Italy is by far my most favourite country to visit. I’ve been here several times and I’m dying to go back. Anyway, after an hour and a half of driving along a beautiful coastline, be prepared to possibly dislocate your jaw. 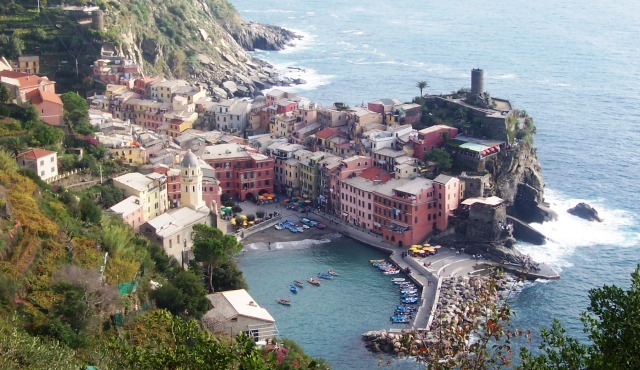 One of the most beautiful sights you will ever witness is the small village of Vernazza coming into view, nestled in a tiny little bay. Part of the famous Cinque Terra (a World Heritage site comprising of 5 coastal villages, Monterossa al Mare, Vernazza, Corniglia, Manarola, Riomaggiore), Vernazza was definitely the most breathtaking. 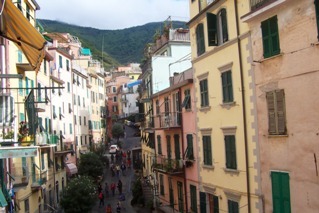 We stayed in Riomaggiore, a treat with hardly any tourists, ridiculously steep alleys and siesta time every day. The villages are connected by a winding walking trail, clinging to the mountainside by its fingernails. It is really high and at times incredibly steep, but well worth the hours spent on the trail. 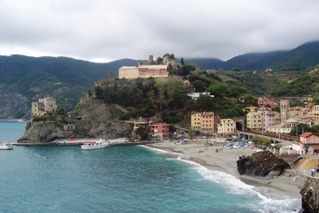 Corniglia, one of the villages, has a ridiculously steep staircase with 382 steps, or 33 flights. To get to the top, just picture the song “Eye of the Tiger” and get running. It’s the only way, trust me. The view from above is, naturally, astonishing, and it will be worth the pain. Fill up on some well-deserved carbs by enjoying some fresh gnocchi with the famous pesto of the region. If you drive another one and a half hours, you will reach Florence, birthplace of the Italian Renaissance. 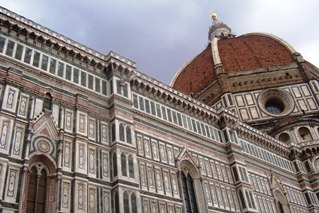 Florence is a large city and crammed with amazing things to see. You simply have to go and see the massively impressive cathedral known as The Duomo. The huge bronze doors of this building is already a masterpiece, as is the outside, carefully constructed out of coloured marble. Another must see is the Ponte Vecchio, a famous bridge completely built up with medieval shops, perfumeries and jewellery shops, it seems untouched by the ages, in exactly the same state it was hundreds of years ago. You should also do a tour of the Uffizi where you can stare in amazement at Boticelli’s Venus. Florence deserves a few days of your time, there is much to do and their gelato is the best I’ve ever had. The best way to see a massive city such as Rome, is to make use of the fantastic “Hop on Hop off” buses (we have these in Cape Town too!). You will be able to see the whole city and take as much time as you like whilst exploring. Our first stop was the very famous Trevi Fountain, the largest Baroque fountain in the world. We arrived at night and by the time we got there we basically had the fountain to ourselves. I threw my coin over my left shoulder; this is supposed to ensure that you will return one day. I really hope I do. I also mailed a post card from Vatican City, this is practically compulsory when you visit! 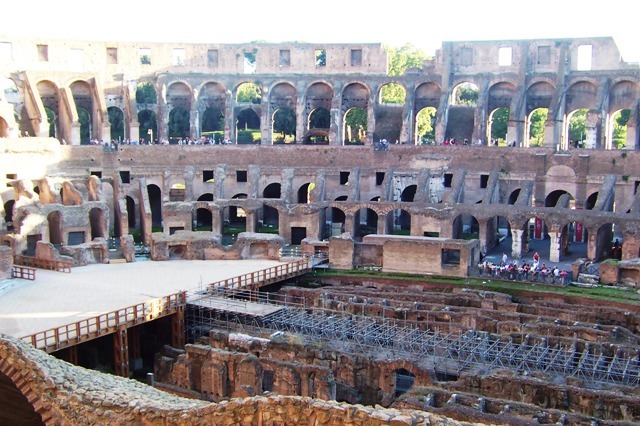 The Colosseum is another absolute must see, as are the spectacular ruins alongside it since it provides an in depth look at the Roman way of life. I really couldn’t believe my eyes when I saw the scale of the Colosseum, to think it was completed in 80 AD and it was still standing, was truly impressive. The most surprising thing was that it is smack bang in the middle of the city, surrounded by modern buildings and busy streets. It looked oddly out of place, and very Roman. There are many museums, art galleries, alleyways, restaurants and cafe’s to explore, you will need several days here and a good guide and map book, don’t miss the Spanish Steps or the Pantheon. The nightlife in Rome is also particularly good; we partied until the early hours of the morning with the locals! The next part of the journey will take you further down south, towards Naples, just over 2 hours. 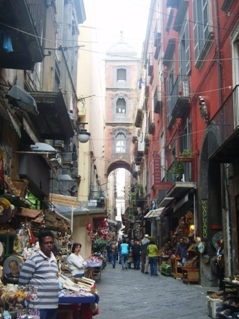 Be prepared for huge traffic jams when you reach Naples, head directly towards your accommodation and park! While you’re in Naples, you will be bombarded by colourful sights and sounds, ancient statues posing next to washing lines and beggars, contradictions around every corner. There is an absolute plethora of shops selling miniatures of all kinds, shops selling antiques, Chinese rip off’s, anything you can imagine, all crammed into the Spanish Quarter and surrounding areas. Naples is also the birth place of pizza and this is where I had the most divine pizza ever. A particular pizzeria (Sorbillo, 100% Italian!) was recommended to me by the locals running the hostel that I stayed at, and wow, it was delicious! I ate an entire large pizza on my own, accompanied by an equally large, ice cold beer, the real Italian way, with only one topping. The pizza base, tomato and cheese did the hard work, requiring very little to compliment it, less is more. 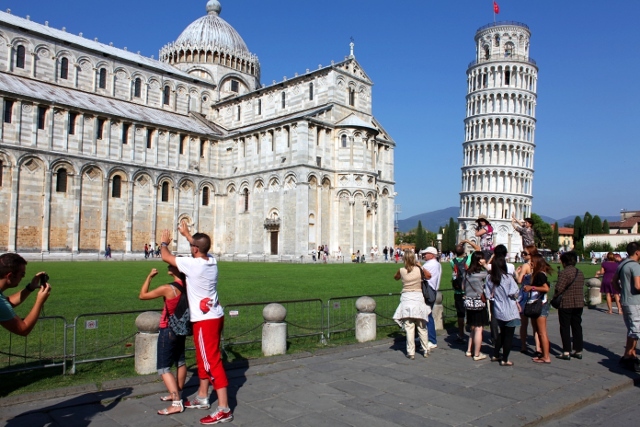 The people of Italy have always surprised me with their friendliness and desire to bond. I helped an old lady carry her grandchild down a very steep staircase, she was chatting away and didn’t even care that I didn’t understand her! 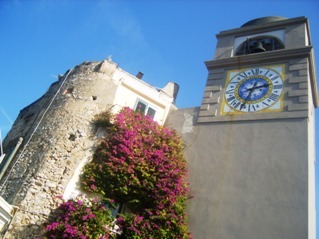 It is a very short drive from Naples to Sorrento, about one hour. From the invigorating chaos of Naples, you are now again approaching the coast with its beautiful little villages, hanging on to the cliffs. Sorrento and its surrounding areas are very famous for its lemons and so, for making limoncello, a lemony aperitif which is sure to warm the cockles on a chilly night! This is a lovely little town and is easily explored by foot. You will notice that many of the buildings and bridges appear to grow out of the mountainside, quite a site! 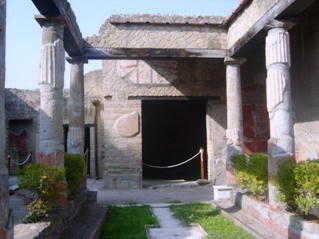 One of the day trips you will have to do when you are here, is to visit Pompeii, or Herculaneum. The imposing Vesuvius volcano dominates the Bay of Naples and can be seen from almost anywhere. 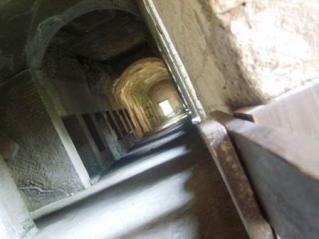 I decided to visit the smaller of the two doomed cities, Herculaneum. There were hardly any tourists and it was quite a surreal feeling, wandering around the ruins all alone. It is really incredible how much of the city stayed intact, even though nearly all the inhabitants perished. 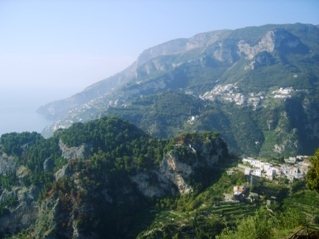 I had my first “stop dead in your tracks” experience in Ravello, a town not too far away from Sorrento, about an hour’s drive. 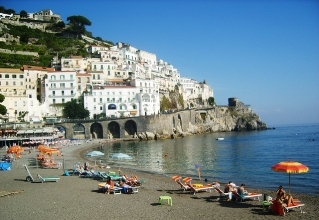 You will wind your way past Positano and Amalfi, teetering along the edge of the mountains. 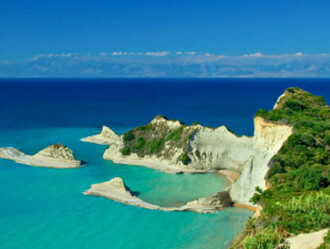 This area is particularly popular with honeymooners and celebs, due to the secluded beauty of the area. There are many 5 star hotels and restaurants hidden away in the cliffs. 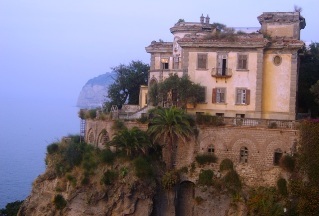 I adored Positano and Amalfi, but the true gem in the treasure chest was Ravello. 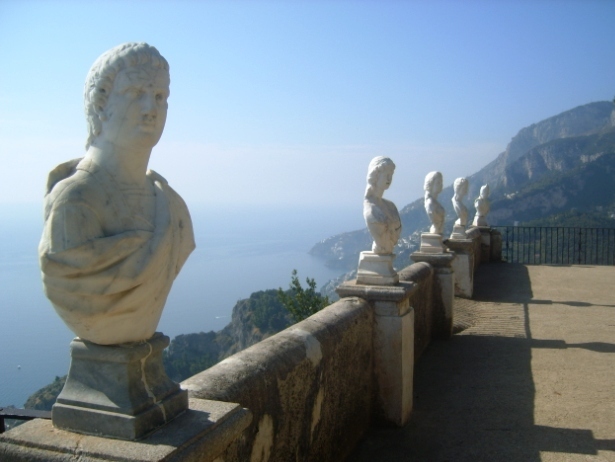 When you are here, you simply have to go for a walk in the gardens of Villa Cimbrone and head towards the “Terrace of the Infinite”. One minute I was walking down a lovely green pathway, the next, I was faced with the most amazing sight I have ever seen. Time stopped, I actually gasped out loud and it felt as if I was suspended in thin air, floating about the magnificent view of the endless ocean. After I recovered from the shock, I wondered aimlessly through the gardens, feeling as if I had stepped into a magical, green realm of silence. Again I was pretty much alone, and it further magnified the intense emotions this place brings to you. 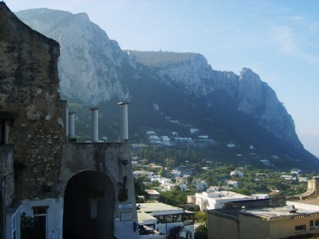 The final destination on our adventure is Capri, easily reached from Sorrento’s harbour by ferry. One of the most famous sights on Capri is unarguably the Blue Grotto. The glassy blue water shimmering in the sun must look amazing. I however decided to explore the island instead, having heard that the grotto is always overcrowded and you can barely see the water through all the little boats! 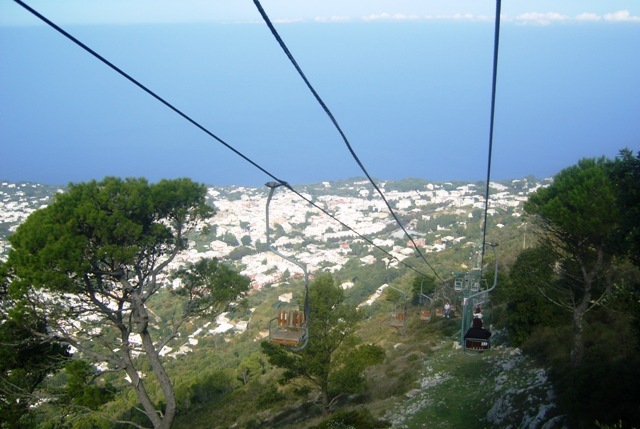 I joined a tour group and soon we were on our way to Anacapri, the highest point of the island. We were transported to the top in little ski lifts which were only able to take one person at a time. We soared high above the gardens and fruit trees of the locals, an ancient Roman ruin sprinkled here and there. The view from up here is something else and you should take some time to walk around and explore. Back on solid ground, I decided to have a look around the alleyways on the island. 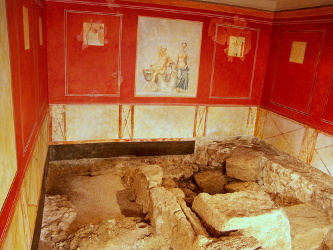 I stumbled across many homes with beautiful tiling and their own, private shrines. It felt a bit as if I was intruding so I made my way to La Piazetta, described as the most fashionable square in the world. I had a great time people watching, several celebrities own property on this desirable island and I tried to spot some. No luck though, since I was much too preoccupied with the delicious pasta I was enjoying! Italy is spectacularly diverse. 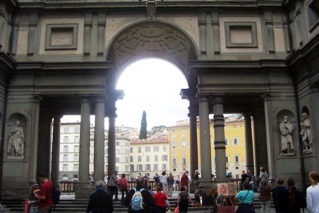 There is still so much to see, such as Lake Como, Sienna, Verona and Bologna, I will have to go back one day! A trip like this will change the way you see things, it is good to get some perspective and realise that it’s a big world out there and that, as human beings, we have to explore it, it’s in our DNA. Genoa and Venice are both extremely popular destinations and you will have no problem whatsoever to find a flight. 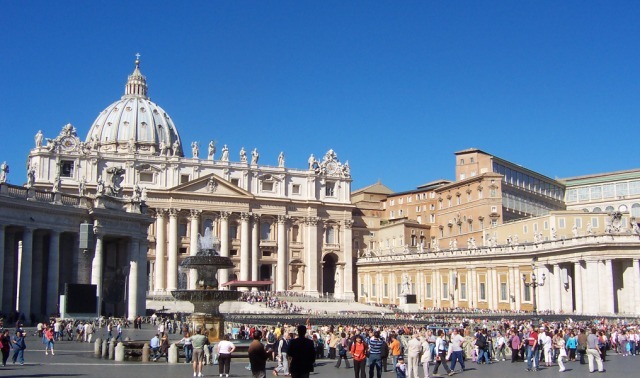 You can also fly into Rome or Milan, both also very popular. I found a good blog regarding all things Italian, from the variations in the language, to the weather. If you are still not convinced that you simply have to visit Italy before you die, I'm sure this video will help...enjoy! 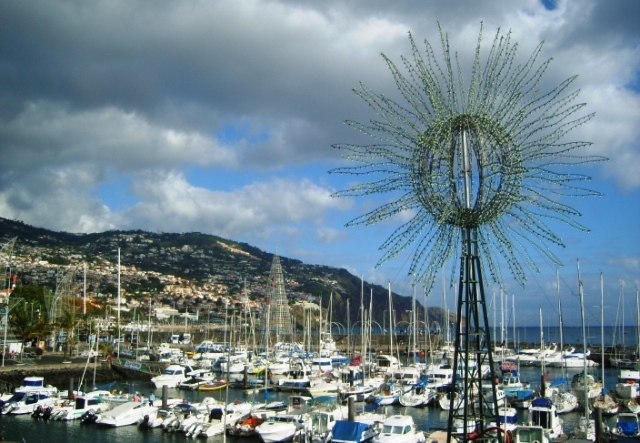 Costa Cruises have a base in Savona, Italy, from which they operate cruises to the eastern and western Mediterranean.